Volkswagen is being forced to cut production of cars in Germany. A dispute with parts suppliers is causing serious disruption at six of the automaker's factories. Volkswagen said it has had to reduce hours for about 27,700 workers until the end of the month. The suppliers, owned by Prevent Group, are seeking compensation for a contract they said was canceled by Volkswagen, according to a German newspaper report. They have halted deliveries of seat fabrics, gear boxes, and other equipment. 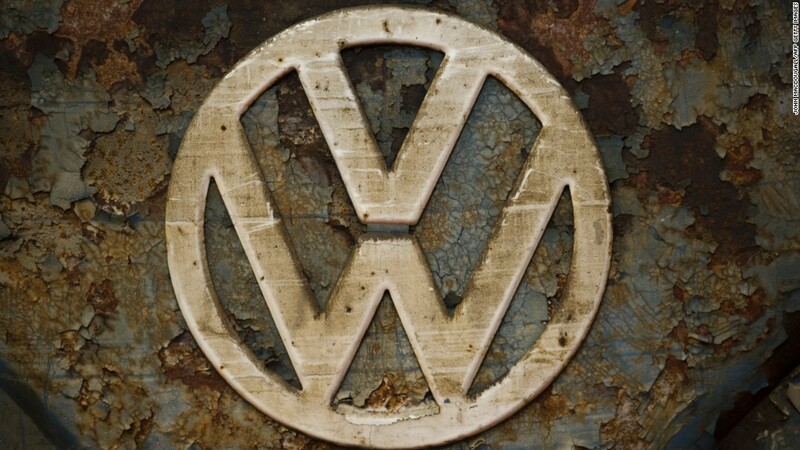 Volkswagen (VLKAY) said in a statement that a German court ordered the suppliers to resume deliveries last week. An appeal will be heard next week. Prevent Group did not respond to a request for comment. Volkswagen's factory in its home town of Wolfsburg -- where its best selling Golf is made -- is the worst affected. The company said some Golf production is being halted this week, with roughly 10,000 workers put on shorter hours because of the dispute. The Wolfsburg factory produced 815,000 cars in 2015, according to UBS analysts who estimate that a week of lost production could cost the company about 100 million euros ($113 million) in gross profit. "It is still difficult to assess the final impact because the production halt could [last] longer and Volkswagen may be able to claim compensation for the financial damage by the supplier if their action is considered unlawful," they wrote in a note. Volkswagen is still trying to resolve its huge diesel emissions scandal, which the company previously said could cost it 16 billion euros. But global sales of Volkswagen vehicles have eked out a gain of about 1% in the first five months of 2016.